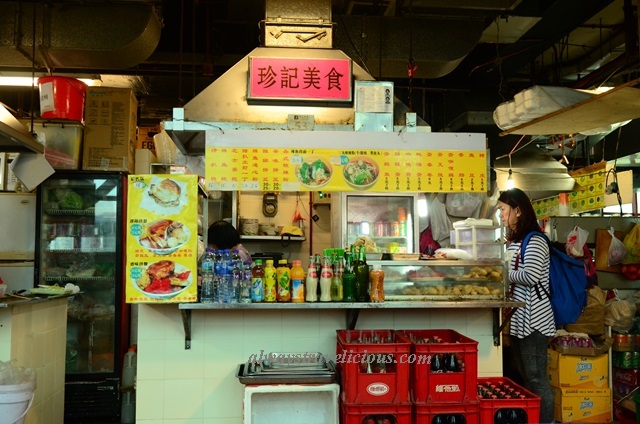 Hawker Food @ Sao Domingos Market, Macau - Always Travelicious ! The Sao Domingos Market Complex in Macau has a lot to offer for those interested in local food. It’s located one block away from Senado Square but it is hardly noticed because of the much more spectacular architectures in the vicinity. However, don’t judge a book by its cover because it is truly off-the-eaten-track and it’s the place that locals eat. 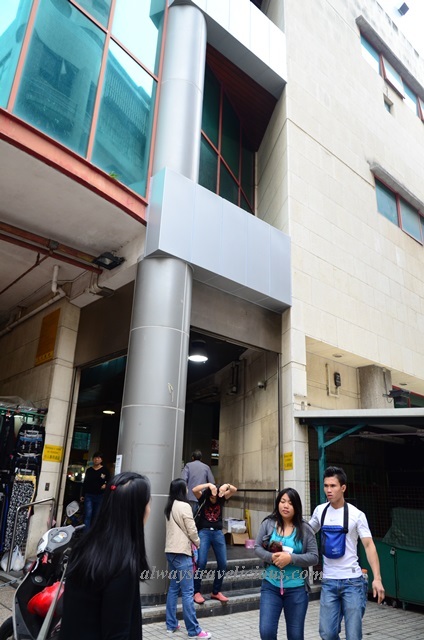 The market is well organized – clean, air conditioned and every floor has designated vendors – vegetables on the ground floor, fish on the first floor and pork on the second floor, etc. And voila, as you reach the top floor, it’s food heaven with all kinds of food at your disposal. We started off with Cafe Seng Kei, famous for his “fusion coffee” – where he brews his coffee in a Chinese claypot commonly used to brew Chinese herbs. and pours it into our cups. The left one is coffee and the right one is milk tea – both are very light in flavor (especially for the Malaysian taste buds) as the portion of milk is much much greater than coffee or tea – so light my friend asked “which one is coffee, which one is tea?” So if you want something heavy, do let the boss know ! Plenty of other drinks are available in other stores as well. If you are visiting Macau during the colder periods, the mutton & pork hot pot from Chio Kei should warm you up a little ! Quite strange to me that two kinds of meat are mixed together in one pot. The hot pot reminds me of bak kut teh – but this one has an even more herbal flavor to it and it’s a medium-bodied broth. 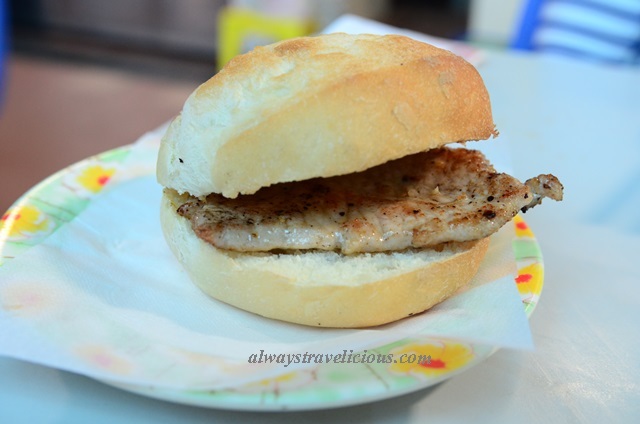 Pork Chop Buns are popular in Macau – and you really don’t have to eat it from the famous Tai Lei Loi Kei. I actually like this one from Jen Kei better than the one from Tai Lei Loi Kei Venetian Hotel branch, and at half the price. The pork slice here is boneless, pan-fried with browned edges ; and the bread is warm, fluffy, lightly toasted and it is the piece of melted aromatic butter that ties the ensemble together. Jen Kei has noodles too – this one is sweet and sour. It didn’t wow me, but it’s satisfactory. Getting to the Market Complex is not too difficult. Get to Senado Square, walk pass the fountain and look for Sasa which should be on your right. Rua Norte Do Mercado De S. Domingos is the lane on the left hand side that leads to the building. The lane leads to the back of the building and take the escalators up to the top floor and you will find yourself in food heaven. The pork chop seem like slightly smaller than Tai Lei Loi Kee? yes at it is ! 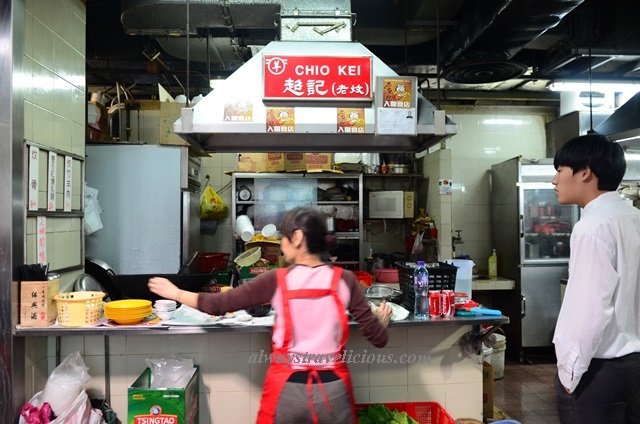 It’s nicer than Tai Lei Loi Kee actually… lol !